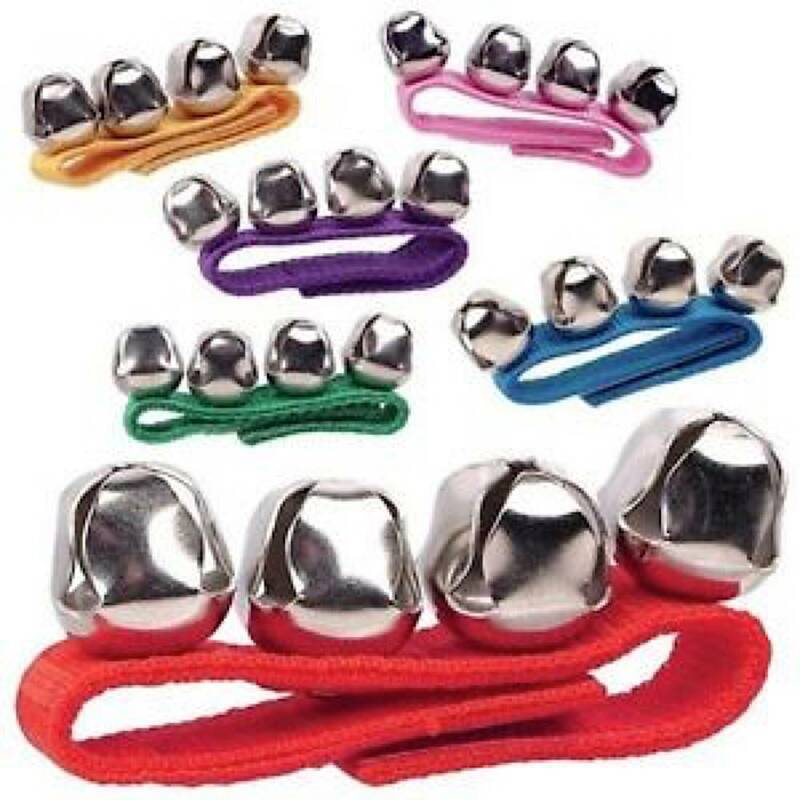 Use a Jazzy Jingle on your wrist or ankle to accompany sing-alongs anytime of the year! Color may vary, please let us know in the notes at checkout if you are looking for a particular color. 4 bells per nylon webbed band, velcro close and adjustable.